AURORA, OH: Video Products Inc today announced the addition of VPCAT Bulk CAT7 Cable to its popular line of network cables and accessories. Category 7/Class F (ISO/IEC 11801) cable specifications require transmission frequencies of up to 600 MHz over 100 meters of fully shielded copper cabling. 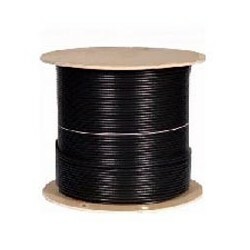 CAT7 cable consists of four individually shielded pairs inside an overall braided shield, also known as Shielded Twisted Pair Cable (SSTP), or Shielded Foil Twisted Pair (S/FTP). VPI's CAT7 cables exceed the current ISO/IEC specifications and represent the next generation in Ethernet over copper. 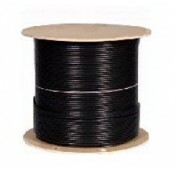 VPCAT Bulk CAT7 cables are available in stranded, solid, and outdoor stranded configurations. The outdoor rated stranded cable is UV resistant, as well as resistant to most chemicals, fuels, oils, and materials. It can withstand rough abrasive conditions and is excellent for harsh environments. The indoor rated stranded and solid cables are constructed of a flame-retardant PVC jacket, with polyethylene insulation. Available for immediate sale, VPCAT Bulk CAT7 cables cost between $675 and $1,000 dollars per spool. Please contact Sabrina Davila for a high-resolution digital file or photograph of VPCAT Bulk CAT7 Cables suitable for print reproduction.